Leases of Flats- How long a term is long enough? What is a Chain Transaction? Are non-marital assets exempt from sharing? Annual Charity Golf Day raises over £2000 for Martin House Children's Hospice. What to do when you lovely new home isnt as lovely as you remembered. Japanese Knotweed, how it can affect your property. Should a new tenant pay a rent deposit? Marriage or Civil Partnership; the choice is now yours! A good divorce – does such a thing exist? Spring in the air....do you need to Freshen up your T&C's? Changes to the law...Is your property Energy Ready? Have you put your affairs in order? Award winning AWB Charlesworth employee Charlotte Gooch begins her Solicitor training contract after receiving a distinction in her Master’s Degree. On The Right Track- AWB Charlesworth's award winning trainee Charlotte Gooch talks about her route into the Legal profession. Another new Bingley recruit for AWB Charlesworth Solicitors- Kate Thornton joins the growing team as Private Client specialist. AWB Charlesworth Solicitors Limited are thrilled to have picked up 2 Keighley Business Awards at the 2017 ceremony. Maximising Inheritance for your children. AWB Charlesworth Solicitors and Pearson and Associates raise over £2,000 for Martin House Hospice at 2017 Charity Golf Day. No fault divorce – does it exist? The appointment of a new trustee for Cliffe Castle continues the support of local businesses for this iconic building. Stellar Footballer to protect his fortune win with a bin bag? No, you can't have a divorce! Sorting out Finances on Divorce- what documents are needed? Relationships: Why Autumn could be break-up time. Buying a Business- Employee Issues. Acquiring a prescriptive right over another's land. 10 Frequently asked questions on....... Nuptial Agreement. Summer School Holiday Arrangements for Children – Tips for Separated Parents. Wyatt V Vince- £300,000 settlement agreed. Can you communicate with an employee when they are on work related stress sick leave? Inherited assets on Divorce- can they be Ring-fenced? Is your land ownership/ boundaries protected by electronic registration? Is your business compliant with the PSC Register regulations? What are an employees right to legal representation in disciplinary hearings? Is there such a thing as a 'Quickie Divorce'? Is your business compliant with the new national living wage legislation? Can a verbal agreement create an Agricultural Tenancy? Lasting Powers of Attorney (LPA)- What are they and how do they work? Employers- A right to snoop? Debt recovery- How AWB Charlesworth can help. What are the sporting rights on the land you are on? Have you agreed to be an Executor? Parental Responsibility- Who has the rights? Selling your Business: 5 Top Tips. What should happen to a financial settlement following a divorce that has been based upon fraudulent information? 11 reasons (which most probably haven't crossed your mind) why you might need your Will reviewing. Five thousand reasons to request a rent deposit from Commercial Tenants. Why have a Shareholders Agreement- 5 good reasons! "Why should I put a Lasting Power of Attorney in place?" When time being of the essence doesn’t necessarily mean it remains of the essence. 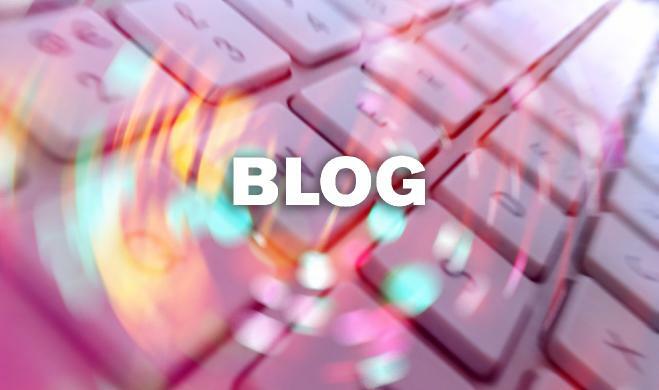 Updates on holiday pay, annual leave and sickness absence. Landlords: Are you running out of energy? Are unsigned employment contracts enforceable? Assured Shorthold Tenancy Landlords Beware!! Employee Facebook profiles: Should employers have access? Violence in the workplace. Who is liable? New legislation to make law of distress less distressing? Are employers obliged to accept voluntary redundancy applications? Disciplinary hearings: Is an employer obliged to grant a postponement? Employers: how should you handle work place theft? Sickness Absence: are you discriminating? Still not enough Help to Buy? Settlement Agreements and Compromise Agreements. Unsigned Employment Contracts: Are Terms Enforceable? Unfair Contract Terms – Business or Consumer? 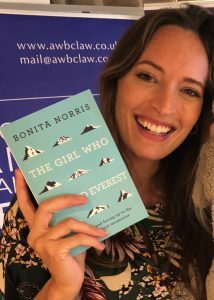 Bonita Norris, the youngest British woman to climb Everest and ski to the North Pole, gave an inspirational presentation to Aire-Valley Networking Group Women@Work at their lastest event. The Aire-Valley professional networking group Women@Work organised by AWB Charlesworth Solicitors and NatWest Bank welcomed mountaineer Bonita Norris to Skipton for their most recent event. Felicity Green, Director at AWB Charlesworth Solicitors and Liz Smith, Relationship Manager at NatWest run quarterly networking events designed to bring together like minded professional women. The events are held at various venues throughout the Aire-Valley and guests often hear presentations from inspirational business women career. Thanks to funding from the Skipton BID, the group was able to invite Bonita Norris, who at 22 became the youngest British Woman to climb Everest. In addition to the special guest speaker, over fifty guests enjoyed networking whilst enjoying a fantastic two-course lunch provided by the Rendezvous Hotel. If you would be interesting in attending the groups next event and/or would like to receive more information about professional networking forum Women@Work please do not hesitate to get in touch by emailing cati.edwards@awbclaw.co.uk or find out more about Women@Work online at Women@Work Aire Valley’s LinkedIn group and @wawairevalley Twitter feed. This entry was posted in News, Uncategorised and tagged #networking #womeninbiz #news on 10th October 2018 by Cati Edwards.